engaging for everyone in the family. Heritage Collector live webinars are always free and very low pressure. 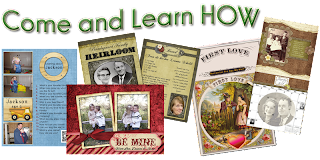 These classes are fun, and will inspire your creativity, and give you the boost you need to get your family more involved in Family History. We will be releasing a new version of Heritage Collector, Storybook Templates, and freebies. Choose from the list below. Turning a wall calendar into a family history. At this class you will learn how to turn a regular wall calendar into an interactive family history. During this class you will learn how to make beautiful Valentines. Just in time for Valentines Day. Create an interactive Family Storybook with sound and video clips. 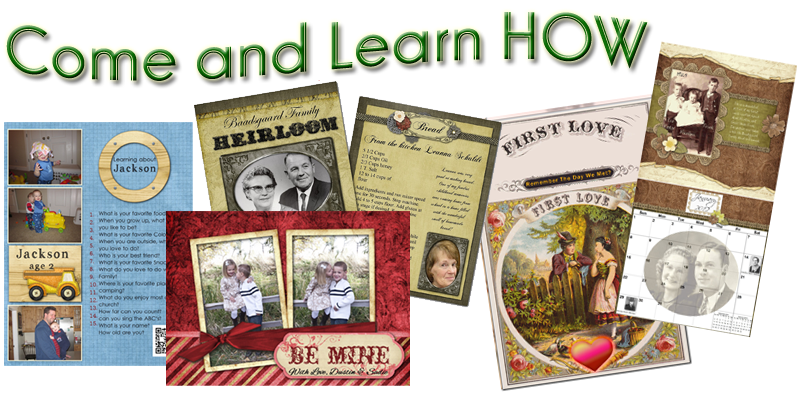 Learn how to preserve and share family history in a whole new way! We will be demonstrating to how to preserve and share those precious family recipes. Come join in an hour reserved just for questions and answers! We will be discussing the Storybook module and how to use it. During this class you will learn how make and personalize wonderful gifts for your friends and family. Marlo Schuldt received his Masters Degree from Brigham Young University in Speech Pathology. Marlo has a passion for families and bringing them together. He is the developer of Heritage Collector Software. Kathleen Bitter is a busy mother of four children. Two of which are twin boys. She loves her digital camera and the ability to create and share family history. Kathleen also aided in the development of the Storybook and Calendar modules within Heritage Collector. You can read more about Heritage Collector here.